Description: This is a FREE seminar geared toward elementary-aged kids, but open to kids of all ages. Children should be accompanied by an adult. Check-in and registration on the day of the seminar runs from 8:30 – 9:00 am. 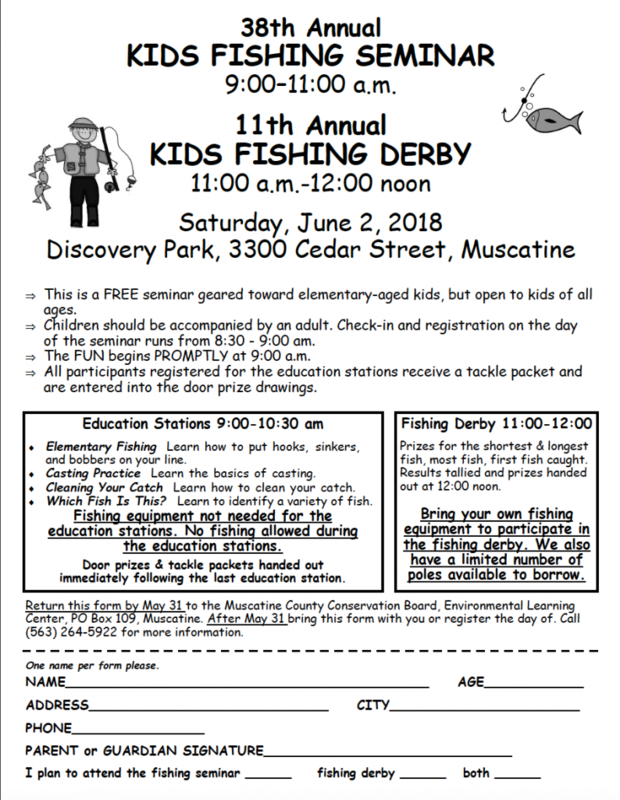 The FUN begins PROMPTLY at 9:00 a.m.
All participants registered for the education stations receive a tackle packet and are entered into the door prize drawings.